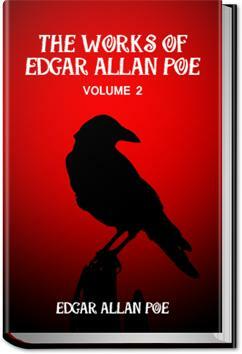 This, the second of 5 volumes containing Poe's works, contains 8 of his short stories as well as reflections, critiques, and eulogies by others. Once a year, if you observe the horror holiday Halloween, you should read one or more of Poe’s chilling stories. Why not “The Tell Tale Heart”? I just this evening heard my neighbor Ann read it aloud before a gathering of block party neighbors in my street. I have read this for the 3rd time and finished 10/08/12. Poor Edgar, always so sad, but he sure can write a terrifying story. I wonder if it was the drugs he was on, of if this state of mind made him turn to the drugs. Either way he was a master of the macabre, and he always caught your attention. A collection of work by the illustrious deviant with the charming monogram E.A.P. I heard all things in the heaven and in the earth.I heard many things in hell. My first time to read and finish a collection by Edgar Allan Poe and I was just blown away. This was one of my two Halloween reads this year and it made my long Halloween weekend truly worth remembering. Here are my reactions to each of the 32 writings included in the book by Edgar Allan Poe.